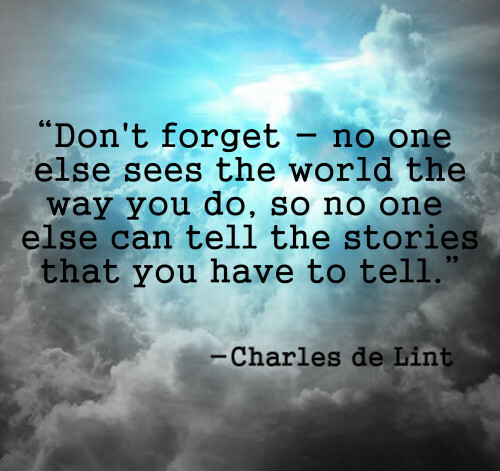 Charles de Lint writes novels, novellas, short stories, poetry, and lyrics. He has a distinctive style, incorporating American and European folklore into his urban fantasies. I want to thank Chris White at Routine Matters for inspiring us with this great quote. Filed under Quips & Quotes. Hi. Yes, such an inspirational quote. All the best. Kris.